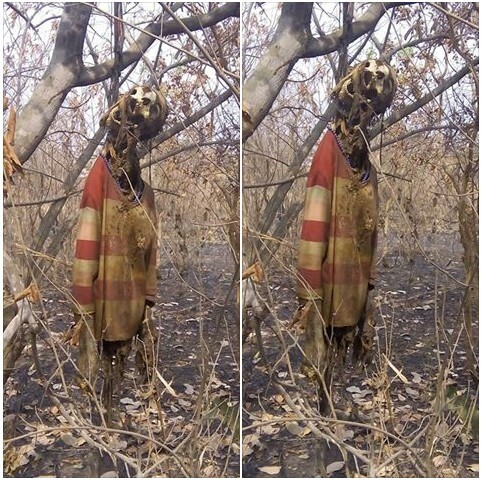 According to a Facebook user named Jonathan Ugwu, the dangling carcass is that of a woman who was missing since about four months. 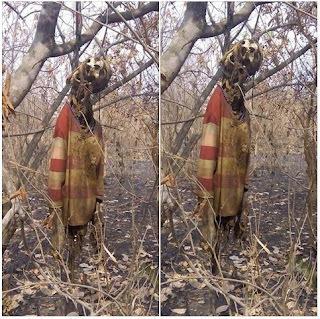 Ugwu said she was found hanging on a tree in an apparent suicide along Ankpa road in Kogi state. Her decaying body was reportedly discovered in a bush on Wednesday, Jan 11, 2017.